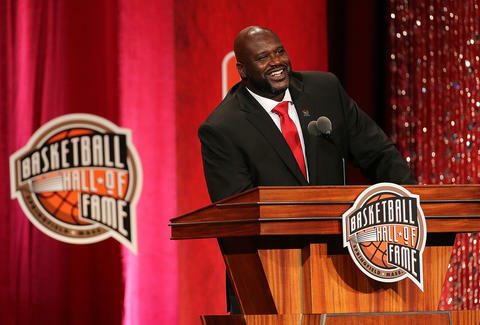 Shaquille O'Neal, the NBA Hall of Famer, star of the '96 bomb Kazaam (who puts a magic lamp in a Brooklyn warehouse? ), and Icy Hot spokesman has yet another accolade to add to his lofty resume: Krispy Kreme franchise owner. O'Neal purchased Krispy Kreme's historic Downtown Atlanta location -- built on Ponce de Leon Ave in 1965 -- and will also assume the title of global spokesperson. Shaq promoted his new venture Tuesday morning by tweeting, "Ur favorite doughnut just got even HOTTER, baby – I’ve joined the @krispykreme family! #krispykreme #shaq #shaqalicious". To help spread the donut joy, Krispy Kreme's celebrating the news by running a social media campaign (Oct 28th-31st) called "Shaq-or-Treat," where people who tag their photos on social media with #ShaqOrTreat will be entered to win autographed merch or other surprises from Krispy Kreme. #Shaqalicious indeed. Alex Robinson is a cities editor at Thrillist who is still pissed Shaq was only available in the arcade version of NBA Jam. Hit him up on Twitter with your best codes @ItsAlexRobinson.